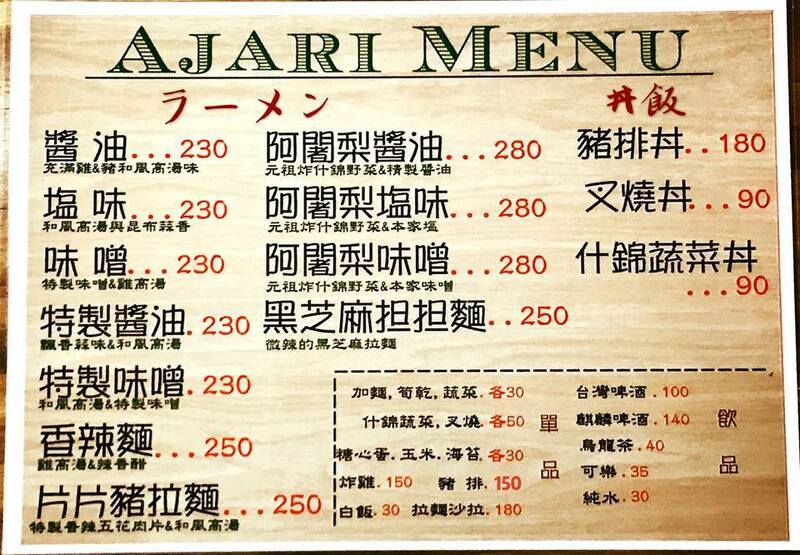 Newly-opened Ajari Ramen is one of the ramen restaurants at Taipei east district. 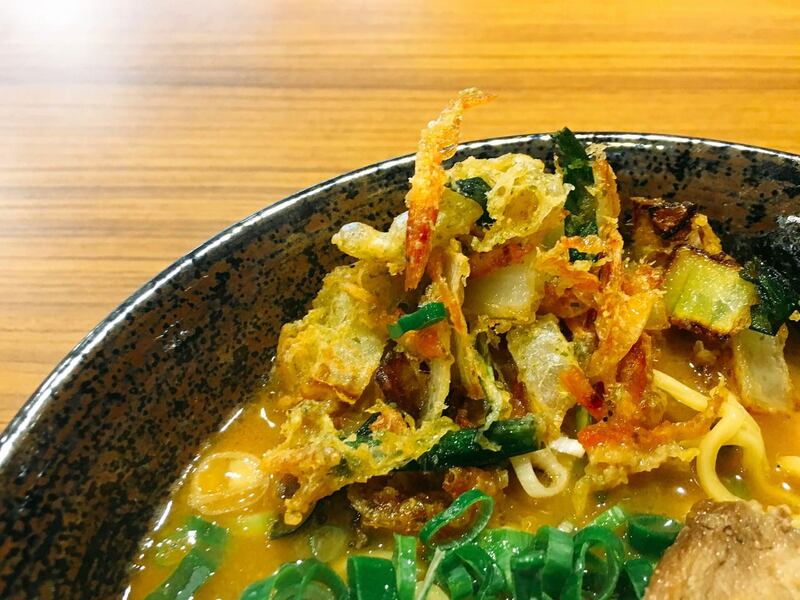 Its signature side dish is fried mixed vegetables in the ramen. 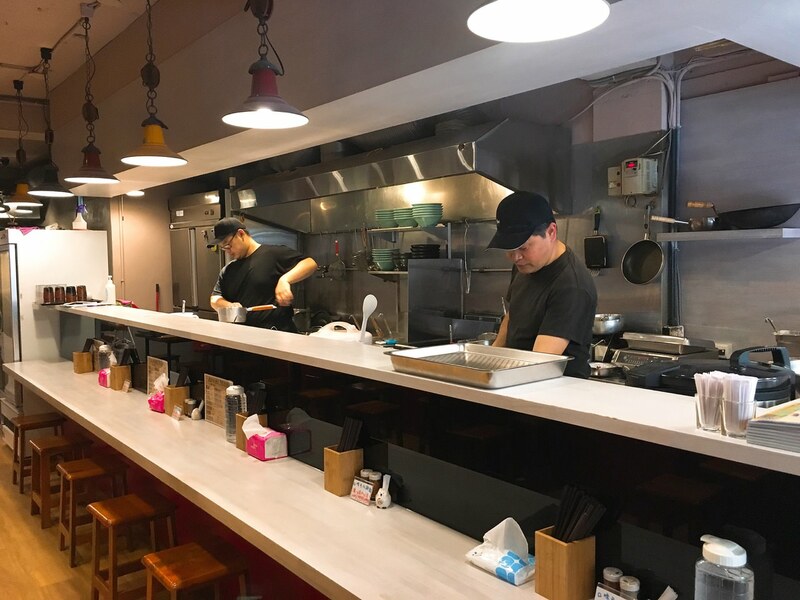 餐廳是在忠孝復興捷運站1號出口往安東街方向, 與 “Peekabo Coffee” 在同一條巷子, 餐廳入口跟永春捷運站的“蘋果肉桂甜點店”一樣有階梯, 店內有個人吧台座和四人座, 座椅是偏中式的板凳, 日本籍師傅負責在開放式廚房準備料理, 店員解說阿闍梨拉麵屋是以北海道拉麵系為主, 但可依個人喜好可選擇湯頭濃淡. 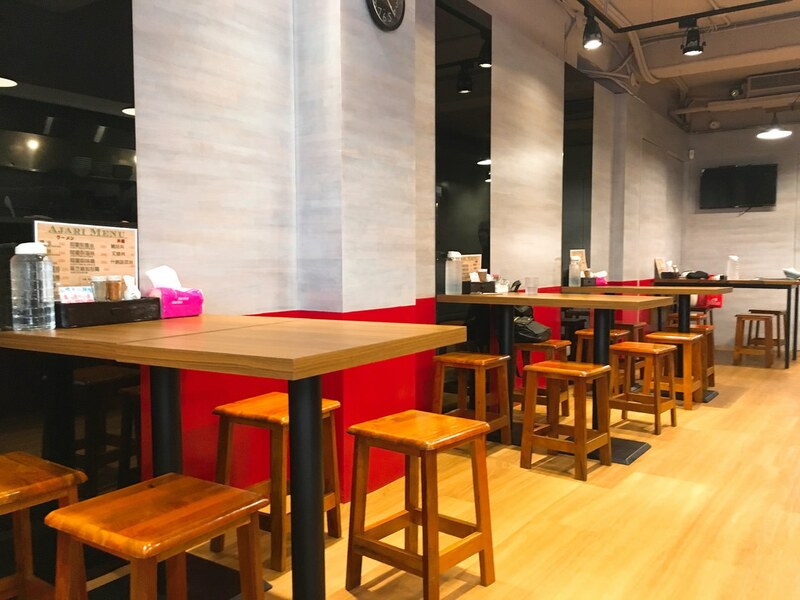 The restaurant is located near Zhongxiao Fushing MRT station exit one. It is located at the same alley as “Peekabo Coffee”. The entrance is similar with “Apple Cinnamon Dessert Shop” with stairs. There are bar seats and 4-people seats. Japanese chef is preparing dish at the open kitchen. 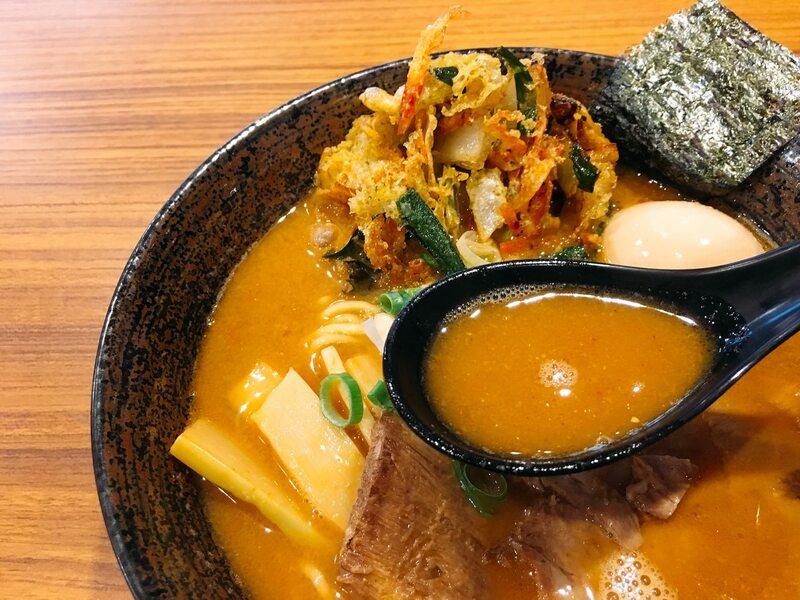 The staff mentioned that Ajari Ramen is mainly Hokkaido style. 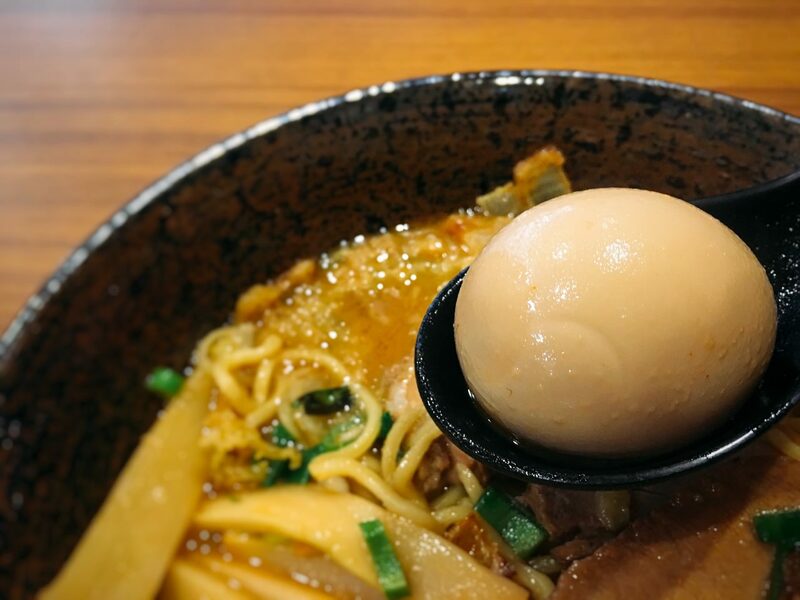 The customer can choose the broth dense level based on preference. 菜單上有三種味噌拉麵 – 味噌拉麵, 特製味噌和阿闍梨味噌拉麵, 差別只在湯頭和配置. 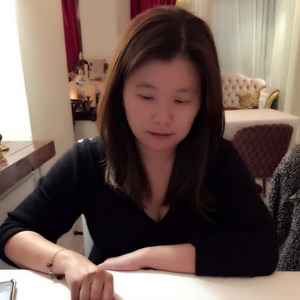 阿闍梨味噌拉麵湯頭是雞高湯與味噌, 配置則是多了炸什錦野菜. 因為湯頭並不是豚骨, 橘褐色湯頭並沒有多餘膠質, 卻一端上桌即可聞到濃郁的味噌香氣, 第一口即可感受到味噌鹹度, 是一款重口味湯頭. 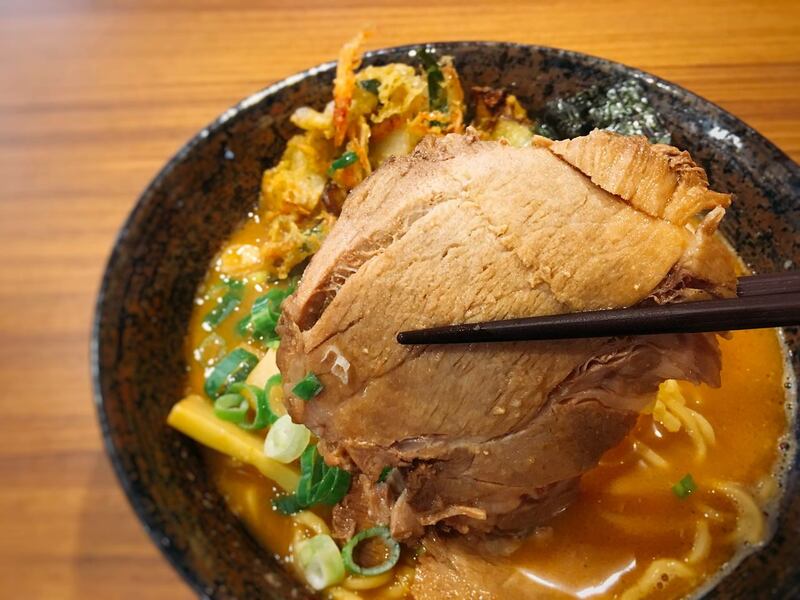 There are three types of miso ramen on the menu due to the difference of side dish and broth. 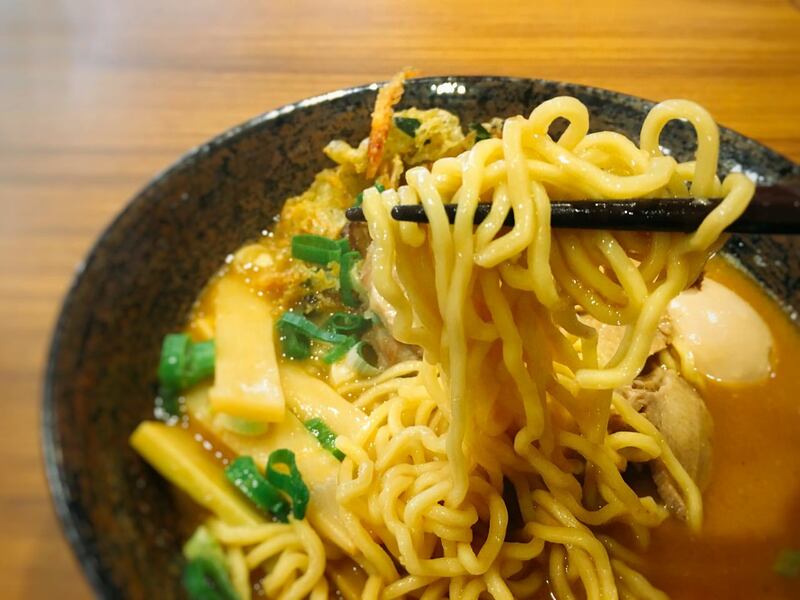 Ajari Miso Ramen broth is chicken broth mixed with miso. The side dish is fried mixed vegetables. Because the broth is not pork, the orange-brown color broth isn’t dense. 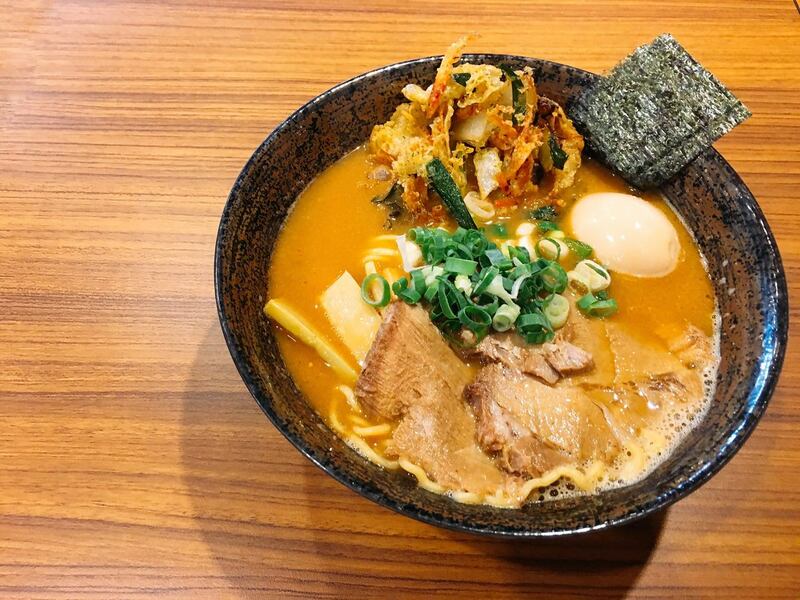 The miso aroma is strong and flavorful. The first taste is quite salty as well. 主廚將青菜, 青蔥與蝦米一起下炸鍋, 炸什錦野菜的Size適中, 麵衣雖然沒有炸天婦羅細膩, 但依舊酥脆,會感受炸什錦野菜的油膩感, 青蔥風味較重, 建議在拉麵上桌時先吃這款配置. 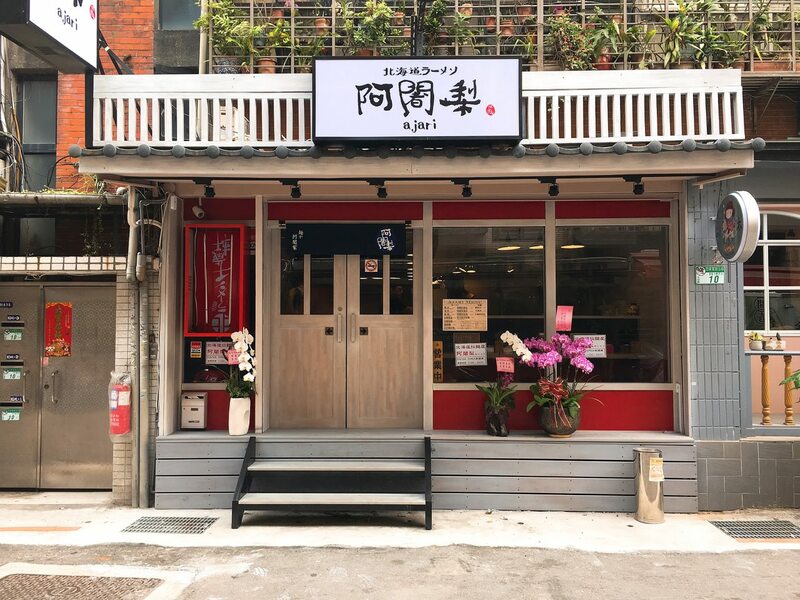 雖然當下店員沒有詢問, 但麵可調整硬度, 麵條附著著味噌湯頭, 不必再隨著湯入口. 我個人認為半熟蛋稍微過熟, 筍乾滷得相當入味且脆, 最可惜的是瘦叉燒, 比想像中地乾. The chef fried the vegetable, green onion and dried shrimp together. The size is medium and it tastes quite crispy. The green onion flavor is stronger then others. I would suggest to eat this side dish immediately after serving. The customer can select the hard or soft texture, even though the staff didn’t ask. 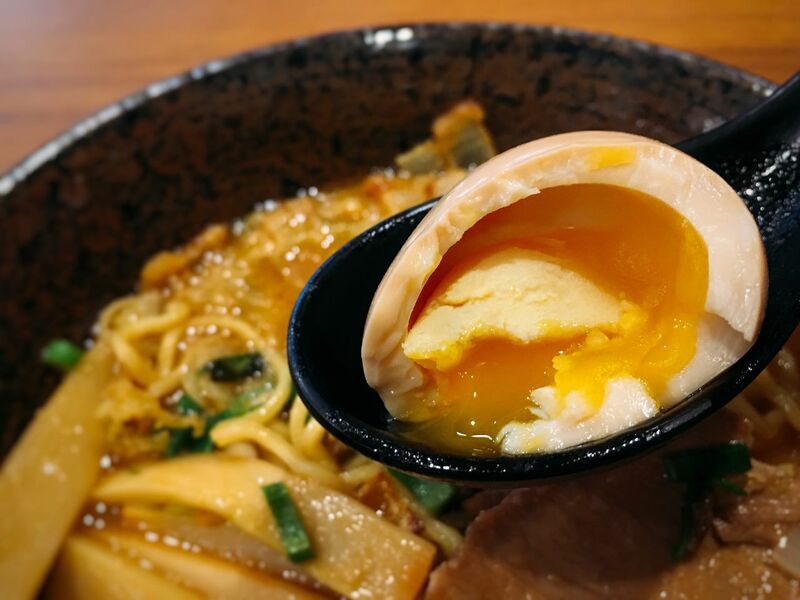 I would prefer the egg yolk to be a bit on the raw side. The dried bamboo is braised well and crispy. However, the pork is a bit on the dry side.